The Our Lady of Grace statue is one of our most popular designs. The hand painted creation is rich in details and vibrant colors. The statue shows Our Lady standing on the globe of the world with her arms outstretched calling and welcoming us to join her. She is shown in the traditional white robe and blue shawl. The petite statue is the perfect size for display atop a bureau or in a small area of the home. 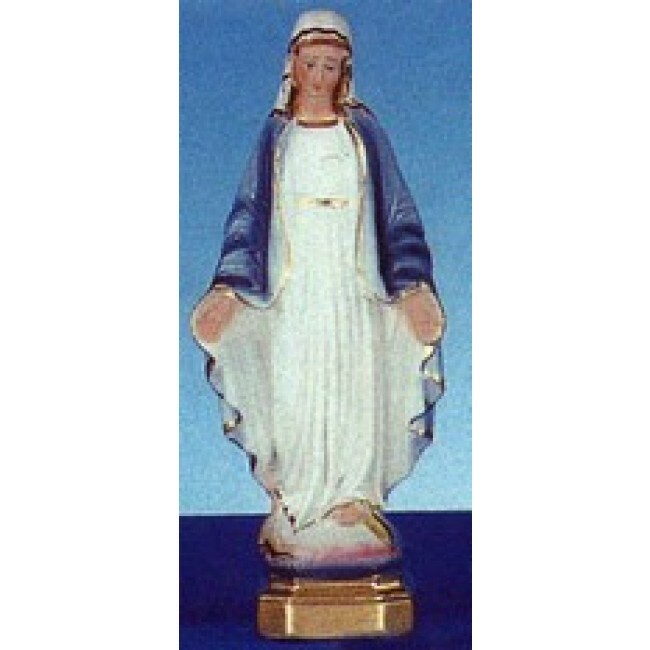 The Our Lady of Grace statue makes a great gift for any occasion.